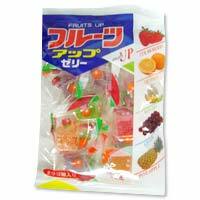 Five delicious flavors of kanten jelly: strawberry, orange, melon, grape, and pineapple. Each individual pack is a single 3 dimensional mouthful of refreshing kanten jelly made from seaweed. And the "not too sweet" taste will even further enhance your snacking pleasure of these kanten jelly morsels.